Wakefield CBT motorcycle training takes one day and is available 7 days a week. If you are looking to take CBT Training in Yorkshire then Wakefield is the perfect location to get your CBT Training booked in with RideTo from £120. You can find CBT Training in Wakefield to the North-East of the city centre, a short 10 minute drive will take you to the finest CBT Training in the area. Supplying local areas in Kirkhamgate, Wrenthorpe, Flushdyke, Dewsbury, Ossett, Carr Gate and East Ardsley. To prepare for your CBT Training you will need to have the correct licence which is either a UK Provisional Licence, UK Full Driving Licence or EU Licence with valid D9 counterpart. If you do not have one of these then consider applying for a provisional licence, D9 form or for more information look at our handy licence guide. On the day of your training when the instructor will undertake a licence check to ensure that you have a valid licence and also are legally allowed to ride the roads of the UK, you will need to have knowledge of your national insurance number. Finally, you will need to wear suitable clothing for your CBT Training, this is sturdy trousers such as jeans and boots (without steel caps). Remember, if it is cold or wet, make sure you bring enough layers and/or a jacket. For some knowledge about riding in the rain check out our handy article. After taking your CBT Training in Wakefield you will be able to enjoy the freedom and joy of two wheels. At RideTo we are here to help you experience the best of motorcycling and always available to chat. 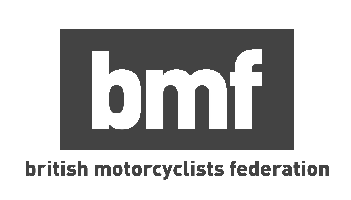 If you are looking for the top motorcycle to ride on a CBT licence or the best moped and scooters for commuting then consider our guides section for a number of great articles to read before purchasing bikes, insurance or gear.